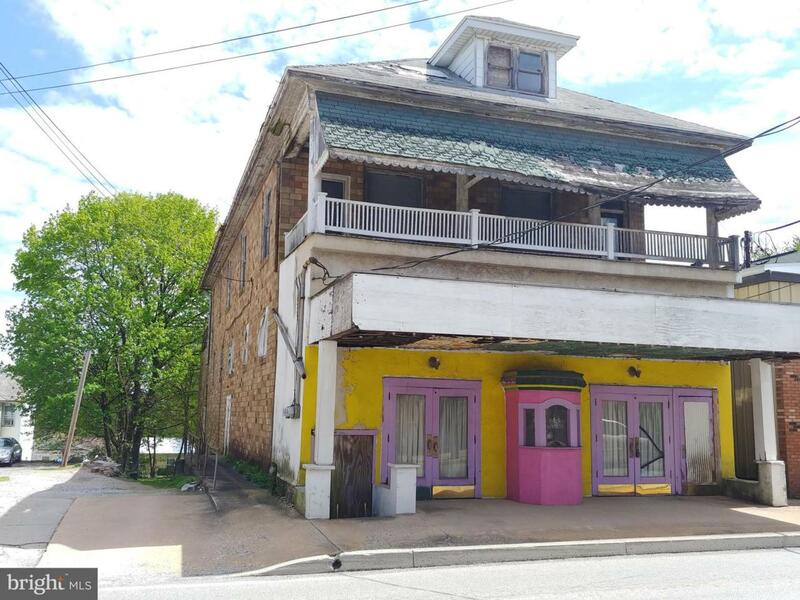 Investment Potential: Former movie theater located in Stewartstown that has potential for many uses. Currently has two apartments on upper level, and theater on main level. Permits were approved to add two more apartment in past, but would need updated. Could also make a great Haunted House, Boarding house, Escape Room, etc. Building is in need of a new roof and many updates, but had a prime location on Main Street in Stewartstown. Village zoning allows flexibles uses, confirm with Borough.